Fall has always been my favorite time of year and this upcoming autumn is no exception. 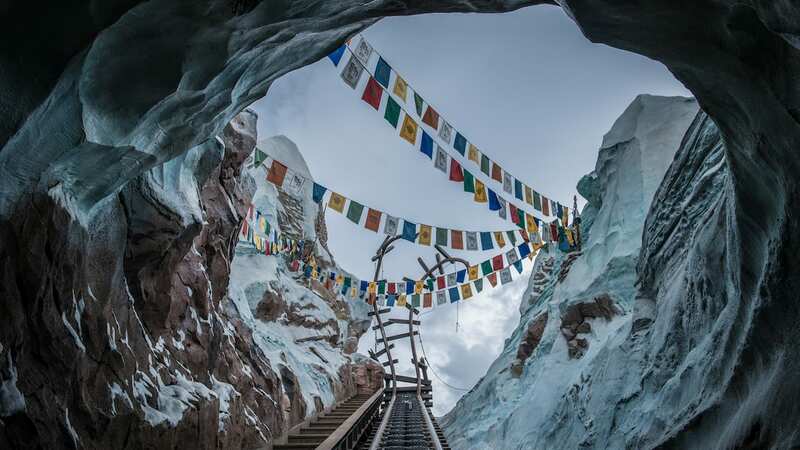 In addition to seasonal staples like football, cooler temperatures, cozy clothes, and pumpkin spice everything, this year offers the chance for guests to celebrate their favorite princess all fall at Disney Springs. The “Dream Big, Princess” campaign will be refreshed this season – I love that it inspires girls to celebrate achievements, encourage one another and be empowered to go after their own dreams – a theme that’s repeated often in the films that are part of the limited-time line-up. 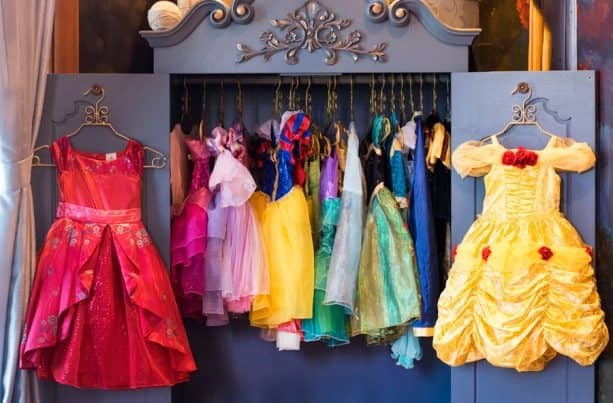 Sadly, I’m over the age limit myself, but if you have a little princess age 3 to 12, now is a great time to make an appointment at Bibbidi Bobbidi Boutique. The recently revamped Castle Package features new dresses inspired by Belle, Cinderella, Aurora, Elena, Ariel, Snow White, Tiana, Jasmine, Rapunzel, Merida, Tinker Bell, Anna and Elsa, and comes complete with gown, hairstyling, make-up, nail polish and coordinating accessories. 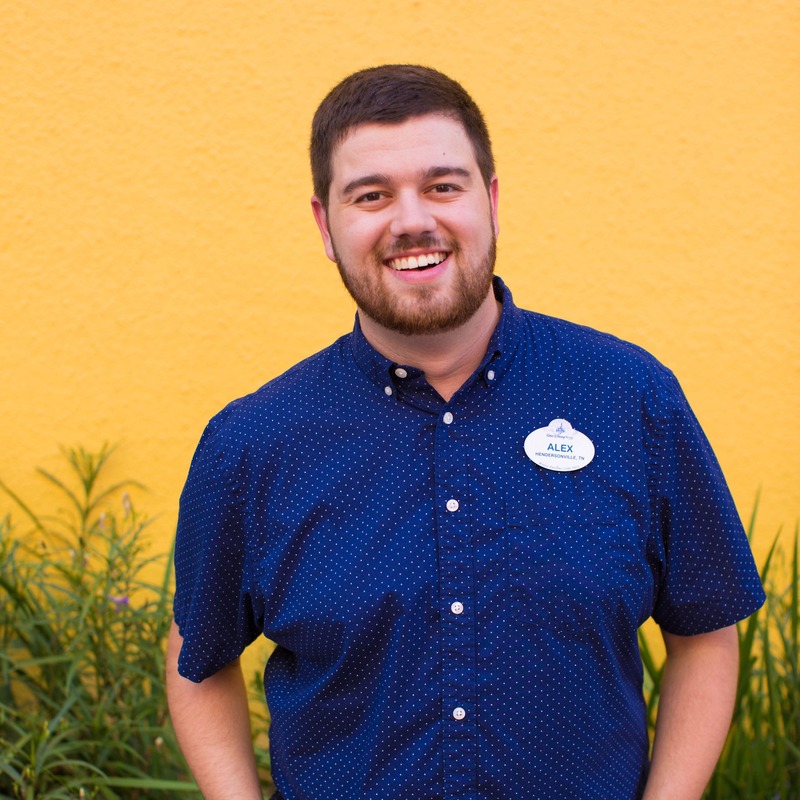 I can still remember taking my niece to Bibbidi Bobbidi Boutique when she was three, and even though she’s now a second grader, it’s one of our best-ever memories! 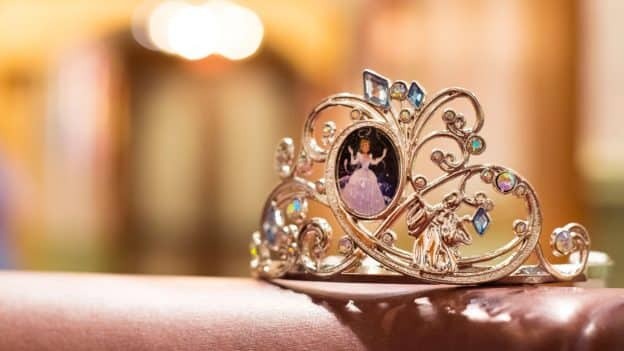 While it won’t surprise you that there are plenty of princess-themed products for little girls, the assortment for grown-up fans is better than ever. Stop by DisneyStyle to select pieces perfect for a day in the parks, visit World of Disney for a just-right coffee mug, or check out Ever After Jewelry Co. & Accessories for an Alex and Ani bangle that would make you the envy of any lady-in-waiting. Who’s your favorite Disney princess? Tell me why in the comments below…I’d love to know! Since becoming a father to my daughter four years ago, I feel I have sufficient “daddy” experience to answer Darcy’s question– Belle. Belle exhibits the strength of character in the face of daunting odds, inner beauty that anyone can come to admire, and a love for her father so strong that she was willing to trade her life for her father’s life. On equal footing with Belle (yes this dad couldn’t choose just one!) is Sofia the First. With the many lessons she garners from her Disney Princess friends, Sofia blossoms into the most wonderful of princesses, always knowing just how to be a perfect princess. And with Sofia the First’s young age, she is the perfect role model for young girls. From this daddy and his dear daughter, thank you Disney for all the Disney Princesses! Will the new dresses with Castle package be available at both bippity bobbity locations or just Disney Springs? Kelly, the new dresses are now available at both the Magic Kingdom and Disney Springs locations. I love all the Disney Princesses. Elsa and Anna, too. Each one is unique and inspirational in their own way. Tina, I agree — there’s something special about each and every Disney princess! Where is that amazing tiara from in the picture ? Kendra, it’s beautiful, isn’t it? That particular crown is included with the Cinderella Castle Package and is available as an add-on with other packages.